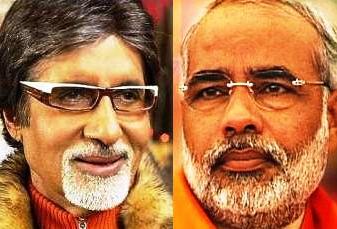 Bollywood legend Amitabh Bachchan showed his eagerness to be the brand ambassador of Gujarat. Big B was in Gandhinagar for a special screening of his super hit movie 'Paa' for Gujarat's CM Minister Narendra Modi on Wednesday. "There are lots of good things in Gujarat which should be promoted. I am ready to give my voice and face for the promotion of Gujarat tourism," the actor said. 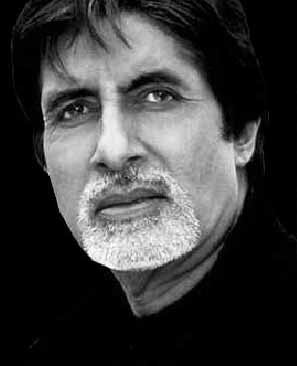 Amitabh also said that he would happy to be a part of a documentary film on the traditional state. Gandhinagar, Jan 6 : Bollywood megastar Amitabh Bachchan Wednesday said he would be willing to be the brand ambassador of Gujarat and added that he would like to be a part of a documentary on the state. "I would be happy to lend my face and voice for the cause of Gujarat," Bachchan told reporters here when asked if he would be brand ambassador for Gujarat like he already was for Uttar Pradesh. The actor was here for a special screening of his film "Paa" for Chief Minister Narendra Modi. Gandhinagar, Jan 6 - A senior Indian Administrative Service (IAS) officer was Wednesday arrested in connection with irregularities in allotting land to the 2001 earthquake victims in Gujarat's Kutch district. The state Criminal Investigation Department (CID) arrested Pradeep Sharma from his house here for irregularities in land allotment during his tenure as district collector. He is currently posted as the municipal commissioner of Bhavnagar. He is now being taken to Bhuj, headquarters of Kutch district. Gandhinagar, Jan 6 - While police stations in Gujarat suffer from a crippling shortage of vehicles, central funds for increasing operational efficiency of the police force are being frittered away to buy high-end luxury vehicles in violation of central norms, says a report of the Comptroller and Auditor General (CAG) of India. Gandhinagar, Jan 5 : The plastic industry is willing to support any government initiative aimed at evolving a consensus on deterrent punishment for those who manufacture plastic carrybags of less than 20 microns in violation of existing laws. "We will support a government initiative for a consensus on providing a jail term for such law violators," Jigish Doshi, chairman of the "Plexpo India 2010" - India's largest exhibition for plastic and packaging industry commencing in Ahmedabad Jan 9 - told mediapersons here Tuesday. 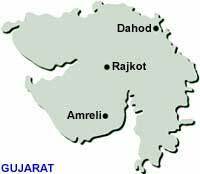 Gandhinagar, Jan 4 : Gujarat police have begun search operations in the temple town of Dakor in Kaira district following reports that the three Pakistani terrorists who escaped from Delhi Police last week were hiding there. Acting on leads, police set up roadblocks and virtually surrounded the town in search of the terrorists who are believed to be the ones who had managed to escape from the Delhi police. The tip off came from a mother-daughter duo who had gone to Dakor to pay obeisance at the main temple on Saturday and had noticed some suspicious looking people. Gandhinagar, Jan 4: Some family heirloom belonging to the erstwhile rulers of Jamnagar state in Gujarat have been stolen from the Jam bungalow palace, which has been lying closed, according to a complaint filed with the police Monday. Manoj Shashidhar, Saurashtra range deputy inspector general of piolice, said the theft was reported from the Jam Palace in Jamnagar, located inside the Sir Peter Scott nature park. The palace was last visited in May 2009. Gandhinagar, Jan 2 : A straight fight between traditional rivals the Bharatiya Janata Party (BJP) and the Congress is on the cards in the Jan 20 by-election in Gujarat's Chotila assembly constituency. While the Congress has fielded Nirantbehn Dhoriya, the BJP has put up Bharat Khorani, the son of the sitting member Vashram Khorani, whose death caused the by-election. This is the second by-election in a row for the seat since the 2007 assembly elections. Ahmedabad, Jan. 2 :Kite-makers in Gujarat are elated as their business has got a boost ahead of the festival of Uttarayan or Makar Sankranti. The colourful kites are a result of much hard work on part of the kite-makers but some of them have got a raw deal. "Popularity of kites among people has increased. But this has not brought any substantial change in our income. Our condition remains more or less the same," said Murtaza Rahman Patangwala, a kite-maker in Ahmedabad, on Saturday. Ahmedabad, Jan 1 : Surviving victims of the 2002 Gujarat Riots on Friday showcased their artistry in cinematography by becoming amateur documentary filmmakers. A voluntary forum named Saath has helped these victims to fulfill their celluloid dreams by associating them with a local film production unit, Samvad Video. Working under the banner of Samvad Video, most of these filmmakers are uneducated who even find it difficult to make both ends meet. Gandhinagar, Dec 31 : The Gujarat government Thursday issued notice to the Asaram Bapu Ashram in Navsari district in the southern part of the state to immediately vacate the land it had encroached upon in and around the ashram, officials said. According to official sources, the Asaram Ashram was allocated about 10 acres of land by the state government over a decade ago, but the ashram had encroached upon nearly another 18,000 square metres of land around the ashram. Navsari (Gujarat), Dec 31 : Continuous illegal sand mining in rivers that pass through Surat are not just affecting the natural course of these rivers, but also depleting farmers'' produce every year. Farmers around these areas have claimed that they were worst affected. Gandhinagar ,Dec 30 : Two alleged bootleggers, including a woman, were killed and seven cops suffered injuries Wednesday when police raided an illegal liquor smuggling racket in a village in Gujarat, where consumption of alcohol is banned, police said. Police opened fire after they came under an attack from villagers in Amrutpura in Mehsana district in north of the state. According to police, they had gone on the raid on information that huge quantities of India-made foreign liquor, possibly from Rajasthan, was being smuggled into Gujarat. Gandhinagar, Dec 30 : Pakistan's Marine Security Agency has picked up a fisherman and his boat from the Indian waters off the Jhakhau coast in Gujarat, a fisherman's body said here Wednesday. According to Manish Lodhari, secretary of the National Fishworkers Forum, two Indian fishing crafts were stopped by the Pakistani agency while they were in Indian waters. While nine fishermen were directed into one fishing craft and let off, 21-year-old Mukesh Dhanji, the navigator of the second boat 'Sattar', bearing a Porbandar-2007 registration was taken away. Gandhinagar, Dec 30 : Gujarat will kickstart its golden jubilee celebrations on the first day of the new year, with a three-hour meeting in the state assembly where over 750 past and present legislators and parliamentarians will get together. 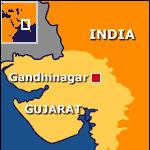 Gandhinagar, Dec 29 : A Godhra court Tuesday ordered an enquiry following complaints of police atrocities on women and children in a predominantly Muslim locality. Teesta Setalvad, of the Citizens for Peace and Justice, who produced the victims of the police 'assault' before mediapersons in Ahmedabad Tuesday said the Godhra Judicial Magistrate first class M. Nalawala had ordered an enquiry under section 202 of the Criminal Procedure Code. The order was a sequel to the Dec 19 arrest of eight women on charges of rioting and assault on the police. Ahmedabad, Dec 28 : Barring a small incident of stone pelting on a procession, immersion of "tazias" (replicas of the shrine of prophet Mohammad's martyred grandson Hussain) on the occasion of Muharram passed off peacefully in Ahmedabad and other parts of Gujarat Monday. Police said some stones were thrown towards the fag end of the tazia procession in Retiavadi area under the Mirzapur police station here Monday evening. Police quickly swung into action and dispersed the miscreants by firing half a dozen teargas shells after which the procession continued undisturbed to immerse the tazias in the Sabarmati river.